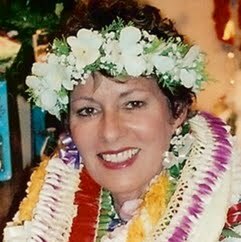 R. Makana Risser Chai is a researcher and author of books and articles on Hawaiian traditions including massage or lomilomi. Na Mo'olelo Lomilomi: Traditions of Hawaiian Massage and Healing is the first book on lomilomi to be published by a major publisher. It is a documentary history compiling published accounts of lomilomi since 1779, and unpublished oral histories from native healers collected from 1867 to the 1930s. Hawaiian Massage Lomilomi: Sacred Touch of Aloha received a 2008 Keep It Hawai'i award from the Hawai'i Tourism Authority for its authentic portrayal of Hawaiian cultural traditions. It is a photographic book with more than 100 pictures of historic and contemporary practitioners, coupled with inspirational quotes about the elements of lomilomi including love of the land, prayer, breath, forgiveness, and loving touch. The photographer is Emmy Award-winner John C. Kalani Zak. Chai is the co-author, with kumu or teacher Dane Kaohelani Silva, of the chapter on lomilomi from the Mosby book, Massage Modalities.